Disclaimer Notice: I’ve received products/compensation as part of the Graphic 45 and design stamps for SinCity Stamps but is 100% my own project! Some of the links in this post are affiliate links. I explain more here. If you missed it you can click HERE!!! Sin City Stamps Fall Set from the Sin City Stamps Store. 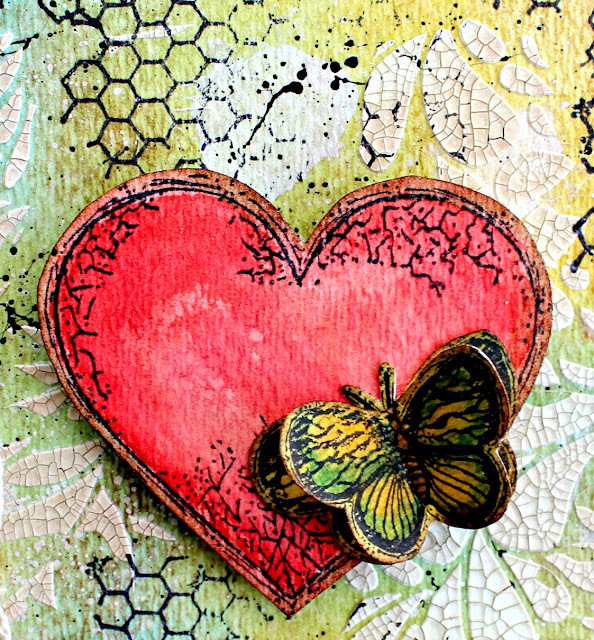 Begin by applying distress ink to watercolor paper using a blending tool. Lay stencil on prepared watercolor paper; apply with palette knife. Dry. Adhere prepared watercolor paper to pattern paper. Adhere pattern paper to top of watercolor paper. Add ecru lace to top of card along with threaded button. Ink watercolor paper with distress ink. Sin City Stamps Memories Set. Layer hearts together with pop dots; add to front of card. Layer two butterflies together at body; tip wings. Add to front of heart. Add second butterfly to front of card. 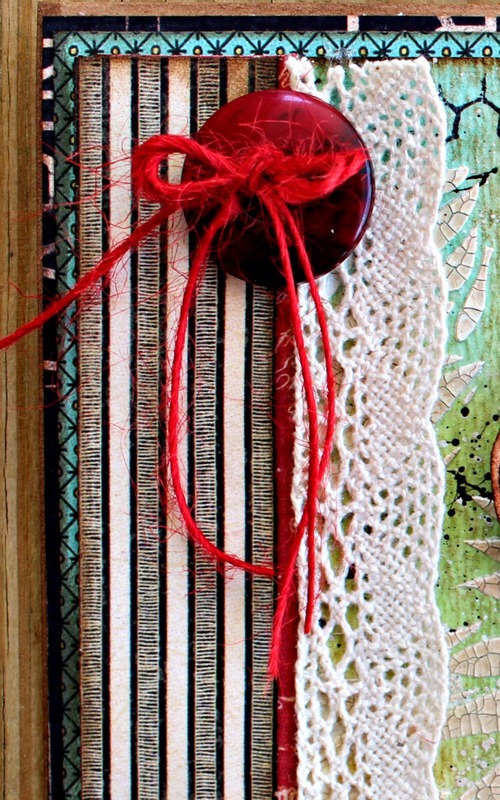 I hope you are inspired to create some mixed media projects using some of Sin City Stamps. It's just WONDERFUL Pam. Love all your great stamp designs for Sin City Stamps. And your card is totally STUNNING. Xj. 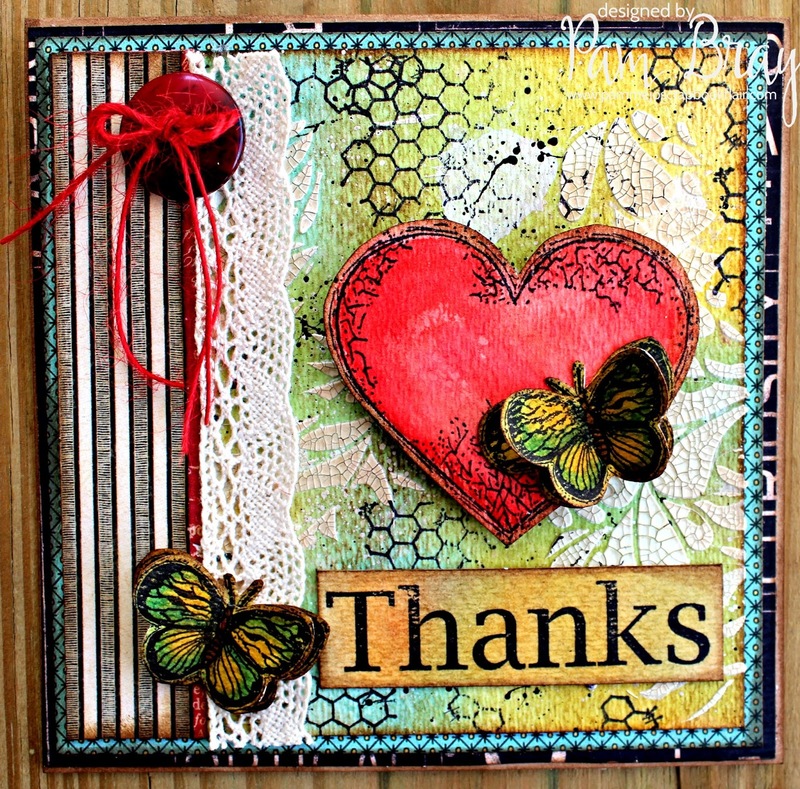 Stunning card and love the textured background. Thanks for sharing with the group. Saw your card coming by on Pinterest and just wanted to tell you, that I love this work.